Image by Caroline Yang, © All Rights Reserved. 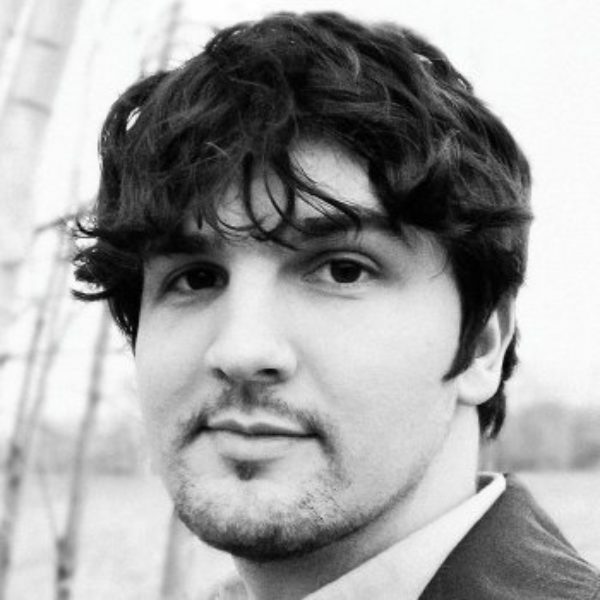 Craig Minowa is the founder, singer, and songwriter of the alternative rock band Cloud Cult, whose albums include Light Chasers, the acoustic live album Unplug, and The Seeker. He holds a degree in environmental science from the University of Minnesota, and is the founder of the environmental non-profit and record label Earthology. Krista Tippett, host: In 1995, a young environmental scientist, Craig Minowa, started the band Cloud Cult. 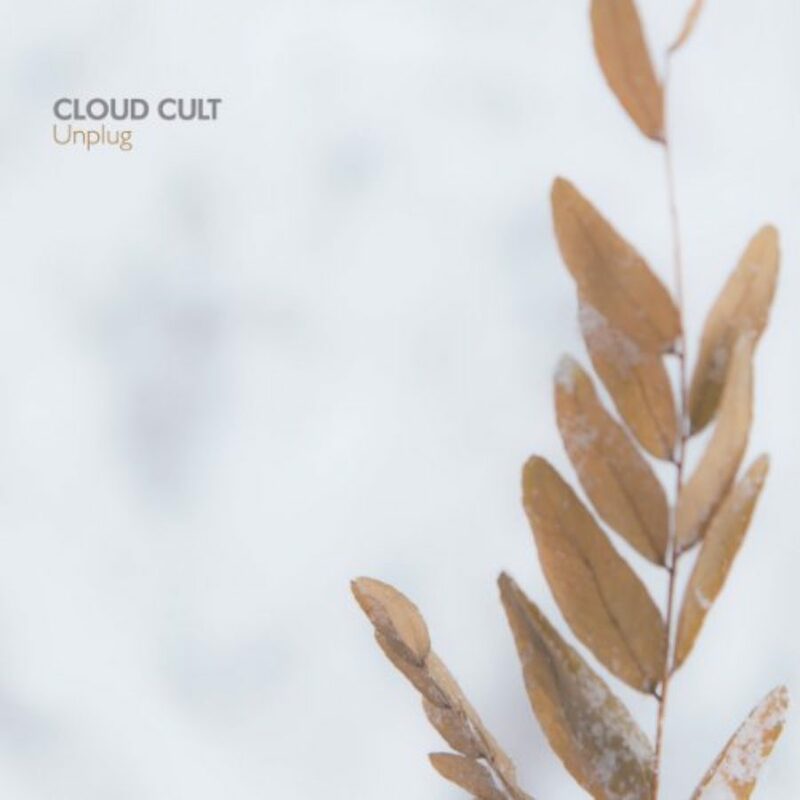 Musically, lyrically, it’s hard to categorize and is sometimes called an “orchestral indie rock collective.” Less in question is the profound and life-giving force of Cloud Cult’s music. The young band’s trajectory was cathartically altered the day Craig Minowa and his wife Connie woke up to find that their two-year-old son, Kaidin, had mysteriously died in his sleep. The music that has emerged ever since has spanned the human experience from the rawest grief to the fiercest hope. Ms. Tippett: I’m Krista Tippett, and this is On Being. I welcomed Craig Minowa and Cloud Cult to the On Being Studios on Loring Park in Minneapolis in 2016. Their base is the organic Wisconsin homestead where Craig and Connie Minowa live with their two children. Ms. Tippett: So you’ve been the soundtrack for my life for weeks now. Ms. Tippett: Yeah, I’m taking you to the gym. You’ve been in the car with me. You’ve been here at work. And now here you are in my space, and it’s just so beautiful. Mr. Minowa: Aww, thanks, Krista. Ms. Tippett: Yeah. It’s amazing. Mr. Minowa: It’s an honor to be here. Ms. Tippett: So I’m glad you didn’t wear shoes. I was going to say, I read in my preparation that you like to play without shoes, and I wanted you to know, this is a shoe-optional workplace. Mr. Minowa: I appreciate that. Ms. Tippett: And so you fit right in. Anyone else can take off their shoes, as well. I’m wearing shoes tonight, because we have company. But I don’t know — you can’t imagine. We actually work here by day, and we moved all the desks out. They’re downstairs, but we do have the sofas out. Ms. Tippett: So you grew up in Owatonna. And was there — how would you talk about the religious or spiritual background of your childhood? Mr. Minowa: I was raised in a very devoutly practicing Lutheran family. It was the kind of practicing that was every service and Vacation Bible School and volunteering for the church. And it was our community. Those were our closest friends, growing up. And she was so joyful about it. Yeah, it was beautiful — and the same kind of thing on Good Friday, that she wept openly in church. Ms. Tippett: Really? Wow. I also read somewhere that your mother said of you, “Craig was early on interested in the stars.” [laughs] And I think that there’s some star imagery in, I would say, your adult spirituality that’s evolved. Mr. Minowa: Yeah. In some ways, yeah, it stuck around through the music. Ms. Tippett: I think people have trouble classifying Cloud Cult, both the group and the music, and — I don’t know, I thought this phrase got maybe as close as I would get to saying — “orchestral rock collective.” And you’re so beloved by your fans and celebrated, at this point. But like every overnight sensation, you had a decade or two in the shadows. It’s interesting how we tell the story of the great success. Mr. Minowa: Yeah, it’s been a very long road. I feel like it’s such a competitive field that you have to inherently just love it in order to survive. And I really like to compose and write and be in that sacred space, but I’m not a limelight-lover. [laughs] But it comes with the territory, so I’m thankful for the ritual of performance and the ceremony that we can do when that is happening. Ms. Tippett: So in 2002, in February, your son Kaidin didn’t wake up one morning. And it seems like you poured your grief into music, but I don’t know if that’s how you would say it. How would you start to talk about that connection? Mr. Minowa: Yeah, I really just didn’t want to go out into the world at all. We had a little farm out in Hinckley, and all I wanted to do was go down into the basement and play recordings of him and play music at the same time. And if I did that long enough, I would feel like I was with him again. And that was the only way that I could feel like I was with him again, and so I did that pretty obsessively for a very long time. And it was — and there wasn’t any intention of creating a project out of it, it was just personal medicine. Ms. Tippett: You use that phrase, “music as medicine.” Had you thought of music as medicine before that? Mr. Minowa: Oh, for sure. Yeah. Yeah, it’s always — it’s saved me so many times, and I think it’s such an important thing to push to our youth, who have hormones flying through them. And they need things like that. But yeah, no, it’s always felt like that, something very, very spiritual and sacred. If you look at the history of music, for the vast majority of time people have used music as medicine or as a connection to the divine and just as a very, very sacred tool. And I think sometimes when I talk about pop music and that, I can come across as sounding like a Scrooge or something — “You just — you have to do it sacred, otherwise it’s …” But I think there’s a place for the really light stuff, and there’s a place for the highly intentioned stuff, and I’ve been always very attracted to the highly intentioned. And so at that time, I needed that highly intentioned connection to the divine and personal medicine aspect of music more than anything. So it was very obsessive. There’d be weeks that I wouldn’t have to leave the house. I was fortunate to have a day job at the time that I worked remotely, as an environmental scientist for the Organic Consumers Association, and so I wouldn’t have to go anywhere [laughs] at all. Ms. Tippett: Well, you recorded over 100 songs during that time. Mr. Minowa: Over the course of a year, yeah. Ms. Tippett: Do you listen to those songs now? Mr. Minowa: I — very, very rarely. Ms. Tippett: Yeah, I mean I think it would be hard for any of us to have that kind of record — I don’t know what an equivalent would be in music — or some equivalent of that kind of dark place. Mr. Minowa: Yeah, I couldn’t tell you the last time I listened to it, and for the most part, songs from those earlier albums are not an option for set lists now. We did them during sets for years, and they were a way, onstage, to connect with Kaidin too, that I felt like as soon as we were up there, and you were playing, and you could get into that spot through the music, that I could feel his soul join me onstage by the end of the set. And I felt, for years, that if I left the stage and I hadn’t gotten that deep enough to feel his presence by the end of the set, that I didn’t do my job that night. And I still feel that, but in ways of where it’s more not-exclusive. Like Cedar Falls last week, I felt my grandma up there with me. But then we have a story shared from fans and supporters of people that they’ve lost, and I feel like the whole ceremony is an opportunity to raise the ghosts and mix them around in a celebration. Ms. Tippett: I’m Krista Tippett, and this is On Being. Today, with singer-songwriter Craig Minowa of Cloud Cult at the On Being Studios on Loring Park. Ms. Tippett: It’s pretty astonishing to read what people write from hearing the songs, that people respond completely directly and intimately to your loss, because it turns out that everybody has loss. I mean they’ve lost in all kinds of ways, all kinds of people, relationships. I mean this was one I wrote down, somebody who wrote, “I came across this band shortly after I tried to kill myself, and the song ‘Thank You’ reached into my soul and planted a seed of hope, a hope that life could be beautiful. 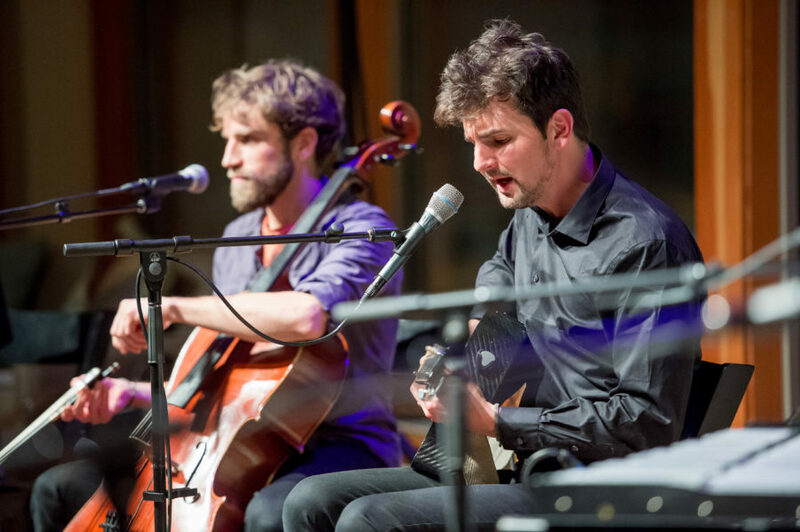 That song was the first turning point of healing for me, and since then, Cloud Cult’s music has continued to change and heal me.” And there are thousands of variations on that theme. I wonder, was that a discovery for you too, to look up and see that everywhere in the world? Mr. Minowa: Yeah, like I said, early on it was a personal medicine, but then people started coming to shows that had similar loss of — initially, it was people that had lost children, as well, that they found comfort in that music. And as time went on, then there’s more people that were coming with different — for different reasons, struggling with addiction or depression, things like that. And that’s where I realized that — flashback to when I was in college and trying to decide what I was going to do for a major, and I remember being in the woods and feeling like I needed to decide between music composition and environmental science and sitting out there meditating and waiting and ultimately feeling, “I want to leave this place better. Music feels too self-y, and I could do good with the environmental science.” So at this point, now flashing ahead where people are finding something good in it, and I feel like I could do good with this, I could continue to do this. And that’s where things started to shift. But it was also very important, at that time, to realize that I needed to continue the humility and understand that when people are coming with those stories of struggles that they’ve overcome and sharing it in a way where they are honoring the band and the music, I recognize wholeheartedly that has very little to do with us and that we’re a reflection. There’s something in this that they’re able to see deeper parts of themselves, and all of that energy and power of healing and overcoming and hope is coming out of them. Ms. Tippett: Yeah, you get to let it in, but you get to let it go through you, as well. Ms. Tippett: So I was thinking — and you have two other children now, right? Ms. Tippett: I was surprised, when I was reading your story and listening to the music, and you have — again, you hear Kaidin’s voice, and I’ve seen pictures of him. You have films of him that come out in films about the band. And two years old — a two-year-old is such an amazing — still so tiny, but so incredible. And I was thinking about before — it was way before On Being — I mean it was when I was doing pilots. It was called “Children and God.” But I heard, in that time — and also, I had young children at that time. There’s this old — there’s this Hebrew proverb, and I think there’s actually an Islamic version of this too — that before a child is born, the angel Gabriel tells them everything, all the secrets of the universe and then kisses them on the forehead, and they are born, and they begin to forget. I think I had this feeling, and I don’t know, I saw it in these pictures of Kaidin, you have this feeling with children like they do know things, like they’re closer to God or whatever God is, and they just kind of embody that mystery, and you just wish they had the words to tell you the secrets they know. And you also see them growing and becoming more like us. But then, also, the fact that that’s all of us, the child in each of us, and so that’s all part of our story. And you talk a lot about moving through that loss and through that grief as kind of a rebirth. This doesn’t really sound like a question. I just wanted to tell you all that. Ms. Tippett: Does that make sense to you? Ms. Tippett: And knows things, right? Mr. Minowa: Yeah. Kaidin had a look in his eyes of — that he knew. [laughs] Every parent knows — they look at their little one-year-old, two-year-old, three, six-year-old, whatever, and know that “whoa, you know way more than I understand you know.” [laughs] And that is, it’s a beautiful thing. Ms. Tippett: I was so happy you started with the song “You Were Born” tonight. I mean I just — I love that so much. When did you write that? Mr. Minowa: That was before Nova. After Kaidin had passed, Connie and I went through grieving for a few years and then spent time rebuilding our relationship and trying to get to a point that we felt like we could have the strength to have a child again. And we were lucky to be able to do that. And before Nova was born, we finished the Light Chasers album, and that was a song written specifically for him. Ms. Tippett: I like that. That’s that Einsteinian view of time looping around. Mr. Minowa: Yeah, that looping of time, or lack of time, is all over the place in there. And in fact, there’s a whole lot of intention in not getting too caught into the illusion of time, and I think the presence of Kaidin is only possible with that recognition that time doesn’t actually exist on a level of quantum mechanics. Hence, when this illusion of the physical universe dissipates, or we fold back into dark energy, or whatever the case is, I know that all those moments that we had with him, they are forever. And this moment with you right now is forever. Every moment is forever. And that intention on timelessness, at this point in time, is huge in our lives. Ms. Tippett: Einstein said that our perception of time as an arrow moving forward — past, present, future — is a stubbornly persistent illusion. Maybe you were referring to that quote. Mr. Minowa: Exactly. Yeah, we blend a lot of quantum physics into our philosophies and in our music, and I am an absolute lover of the fact of — or the idea of timelessness and formlessness. Mr. Minowa: [laughs] Yeah, I — there’s so much to be said about a belief system and what kind of reality that sculpts for a person. I, like I said earlier, was raised in that Lutheran church. But when I was 16, and I bought my first car, it was Easter Sunday, and I had worked the night before till close. And it would be absolutely out of order in my family to not go to church on Easter Sunday, but I had been up late working the night before. I was supposed to meet my family there, and I drove the car, and instead of turning to go to church, I turned and went to the woods. It’s a big public woods that was there in Owatonna. And I sat out there — a beautiful spring morning, everything coming to life, and had a religious experience that I hadn’t ever felt within those four walls of the church. And magic was reborn in me. And it wasn’t any shutting any doors or setting anything apart — I mean Jesus spent his time praying in the garden of Gethsemane, and there’s something to be said about stepping out into the wilderness and just letting those constructs of the mind disappear and reawakening to the fact that it is an incredibly complicated, mysterious, and beautiful universe. And I can’t put my finger on it, I can’t name it, I can’t classify it, I can’t put it in a box, so right now I’m just going to lay back and be in awe. And maybe that’s something that we all need to practice a lot more, which is the child in us. Ms. Tippett: You can listen again and share this conversation with Craig Minowa through our website, onbeing.org. I’m Krista Tippett. On Being continues in a moment. Ms. Tippett: I’m Krista Tippett, and this is On Being. Today, I’m with the singer-songwriter Craig Minowa of the band Cloud Cult. I welcomed them to the On Being Studios on Loring Park in Minneapolis before a live audience. Ms. Tippett: So let’s talk about some of your lyrics, which are so beautiful. Ms. Tippett: You’re a poet. Actually, this follows on what you were just saying. So in “Breakfast With My Shadow,” which is another — well, there’s really so many wonderful songs, so many wonderful songs in your repertoire. Ms. Tippett: So here are two questions. “Can you fall in love with the things you only know, the things you may never touch?” Another question: “If I truly believe that things can change, will I wake up to something different?” I just want to know where you came out on those questions. Ms. Tippett: But also, would you explain — I think I get this, but I’d like to know how you explain “Can you fall in love with the things you only know, the things you may never touch?” What’s that about? Mr. Minowa: I think that that is so much about so much of our reality. 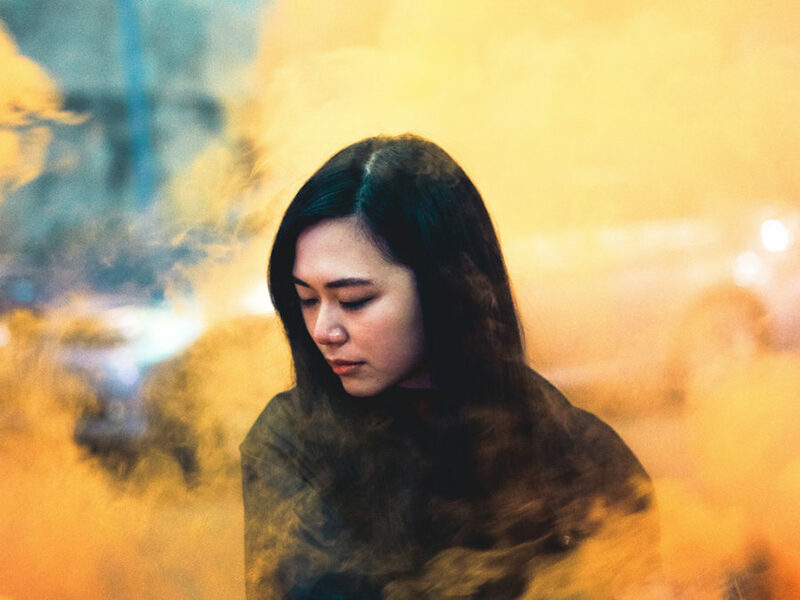 As a band, one of our recurring themes is that philosophical search for the divine and the connection to God, however you want to define that, and that true source out there. And it’s something that we’re never going to be able to wrap our heads around, and we’ll keep trying to get as close to that as possible. And it’s something that you really never do truly touch and get down to the physics on that of where there actually really never is the actual touch, and so the whole thing is an abstract. But I’m madly in love with it, and I want to live my life that way. Mr. Minowa: I think that would go back to that same thing of manifesting the dream, create your own reality kind of situation. There’s so much to be said about the mantra and intention and practicing things over and over in your head, as far as how you want your reality to be sculpted. And it takes a lot of practice to do all of that. “Presence, presence, presence.” “I’m here, I’m here.” “Where are you? “Oh, I was thinking about the past.” “No, I’m here.” “No, I’m worried about the future.” “No, I’m here.” You have to keep on doing it, and you have to keep on believing in the bigger things too. Ms. Tippett: I feel like hope and a rejection of cynicism is a huge theme that runs through your music, through Cloud Cult. And it’s not just in the lyrics. I think it’s a presence, and it’s a spirit that — and the feeling, the joy — it’s a hopefulness that kind of comes through the music, that transmits through the music. It occurred to me that “light chasing” for you is a synonym for hope. Mr. Minowa: That’s true. 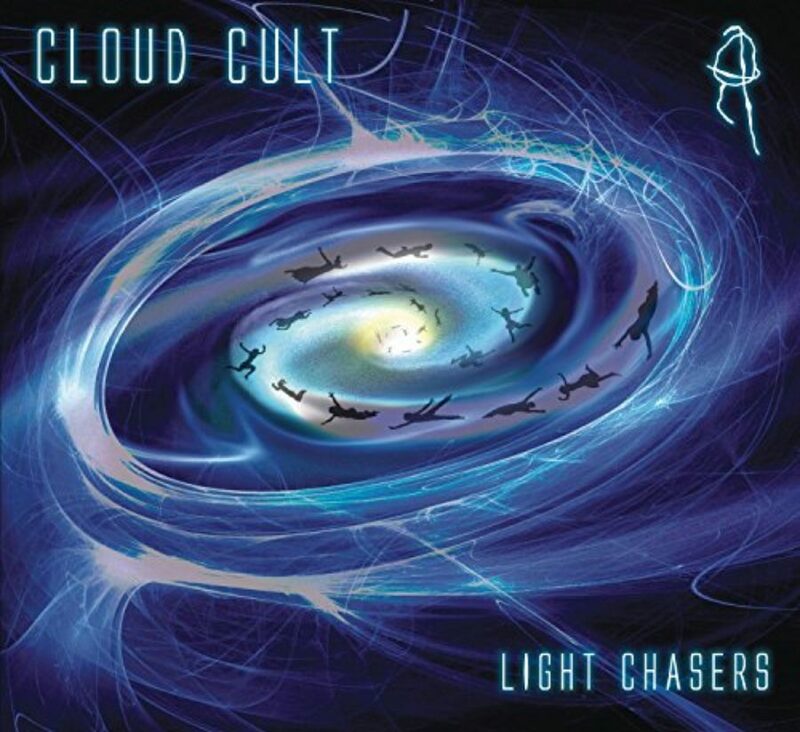 The Light Chasers album was a figurative and literal journey. The whole story was about a crew that decides to take off out into space and look for God, look for the light at the end of the tunnel, physically go after it and look until they find it. And in the end, all hope is gone, the fuel is gone, everything is spent, and there’s nothing there. And it’s not until that moment of surrender and apology, laying down all the protective layers of the self, this ultimate moment of fragility, where love is able to come outside of the skin. And then, for that moment, there’s that connection. And they see the light, and they recognize — “Oh, was it always there? And did we have to travel through the universe to do it?” And so there is that hope that those brief moments that we get to be in touch with that sort of power, it’s brief, but how can we practice to make that more prominent in our lives? How can we practice to make that more prominent as a culture and as a global family? And one of the interesting things about that whole journey out into space to find that light is that space is curved, as you know, so the universe, instead of being a plane, can blow up like a balloon. And since there is no time on the energy level, and if you remove time and you could see far enough, the farthest that you can possibly see would be the back of your head. So you can search as far as you want to search, and you can journey as far as you want to journey, and you’ll ultimately end up right here, right now. And that gives me hope. That won’t make it into the show. The way news is defined and brought to us. But I feel like hope is making a comeback. I feel like what you’re talking about, the way you’re talking about — a lot of us are — we’re just waking up to that. And it’s kind of that thing that you said. We get to know it. We get to know it, all evidence to the contrary notwithstanding, and also, to say, “That’s not the only evidence that’s out there.” But it’s kind of countercultural. It’s — I don’t know. Mr. Minowa: I would totally agree. I think it’s probably a genetic thing, that we’re attracted to the negativity, because back when we were hunters and gatherers, you had to be super — have our ear on the worst possible thing that could happen, so you could protect yourself. But now people are attracted to that, and so the media provides it. And I agree, it seems like a — we are really blessed, as a band, because our supporters are seekers. They come to shows with the masks down and with their hearts on the outside. And since they’ve gotten close to the albums, they feel comfortable with us, the band members. And so they come, and they share their stories openly and quickly. You don’t have to have icebreakers. Ms. Tippett: I’m Krista Tippett, and this is On Being. Today, I’m with singer-songwriter Craig Minowa and his band, Cloud Cult, at the On Being Studios on Loring Park. Ms. Tippett: So your new album is called The Seeker, right? You are becoming more and more a theologian. I don’t know if you know that, but if you don’t, I’m telling you. Mr. Minowa: Oh. [laughs] Uh-oh. Ms. Tippett: I mean what’s the song — “The Great Unknown” on this album. I have so many — just — I have favorite lines in this one. Correct me if I don’t have every line right. “We were made to walk through fire in our dance shoes.” “God gave us words, they were ‘I love you, please, and thank you. '” [laughs] “God gave us thirst, and it’s a hunger for the universe.” “God gave you feet so you could find your own way home.” It’s beautiful. Ms. Tippett: That thing you said a minute ago, it’s a really perceptive way to talk about — we are riveted by the scary news. And we’re hard-wired to be riveted by the scary news. To be a seeker, I think that there’s a — you have to be choosing to be open to something scary that you don’t know. It’s an evolution. But it just occurs to me that the seeker is actually — that word, it’s so gentle, in a way. It’s so open. But it’s a departure that’s very courageous. Mr. Minowa: Yeah, I think it doesn’t classify, either. I think you can be a part of any religion or a part of any spiritual pursuit and be a seeker. And it’s kind of a scale. There are those that search a little or are just hungrier for it. But I see the evolutionary aspect, as well. There’s the Carl Sagan book where he talks about how, if you walked into a room, and then your father walked into the room right behind you, and then your grandfather walked into the room right behind you, how long it would take before you hit an ancestor who was down on all fours. And he was discussing it on the level of just evolution in general, but I was thinking about it in the context of, OK what if that did happen? So there’s so much change that’s happening right now, and we have to keep up with that spiritually. The requirement to grow spiritually at the pace that we are growing technologically is absolutely necessary. Ms. Tippett: I just want to come back to something I had in my notes, and I don’t really know where it fits in here in the arc of this conversation, but you said, everybody’s gorgeous, and everybody’s also been hurt, and those two things all at once. And you have this song, “Blessings,” in the Light Chasers album. I mean the thing is, what you went through with Kaidin — I guess every parent, every night — my son is here tonight. He’s 17. He’s like a foot taller than me now. He’s this big, strong hockey player. And still I go into his room in the middle of the night when he’s come home or first thing in the morning, worried — is he OK? And so that is this universal experience, and then the worst happened to you. Mr. Minowa: Yeah, that one — it’s interesting that you bring that one up in that context, because that came — the line came in the middle of the night. Nova was born at that point, and there was so many sleepless nights where you just almost couldn’t let yourself fall asleep, because that PTSD is there. So we were both — Connie and I were both going through that. And there was a night that was when Nova was a newborn, and the next day was Kaidin’s birthday, and we were both just so panicky and couldn’t sleep. And in the middle of the night, that line was just there. And I give thanks to whatever it is that lays those kinds of things just there. They’re gifts. But I think it’s — I really feel that now, and I don’t think it’s me, individually. I think everybody has that power to sit in silence or be in a moment and to hear things from — again, we know of 2 percent of the universe. There’s 98 percent — now there’s multiverses. This thing is huge. [laughs] There’s so much to be heard. And our bodies can be tools to hear that and put that out there, and all of us have the power to do that. And that line was a gift. It wasn’t from me. Ms. Tippett: So I’ve started asking this question recently, when I’m finishing an interview — how you have come through all the things that have happened to you, this life you’ve lived, how you’ve come to think about what it means to be human, which is obviously an enormous question, and so it’s just — how would you begin to talk about that? “I don’t know where we’re from, but we came here to be. / We came here to be courageous.” What would you add, in terms of what you’re learning about what it means to be human? Mr. Minowa: Looking back at the evolutionary discussion that we had earlier, if you continued to trace that lineage all the way back to the creation of life, us going back 3 million years to being on all fours, that’s one percent of geologic time. There’s so much more that’s before that, and there’s so much more before the creation of the earth, and who knows how many cycles the universe has gone through to get to the point that we’re at right now. But now we’re here, and we are incredibly advanced organisms who are not grasping our potential. And we have to be courageous about laying down our insecurities and our fears, in order to get to the point that we can really embrace that energy in us. Ms. Tippett: OK, Craig Minowa, thank you so much. Thank you so much for Cloud Cult, for being here. And this is not over. We’re going to hear some more music. So here we go. I’m leaving. Mr. Minowa: Thank you, Krista. Ms. Tippett: See you later. Yeah. Mr. Minowa: Thank you so much. 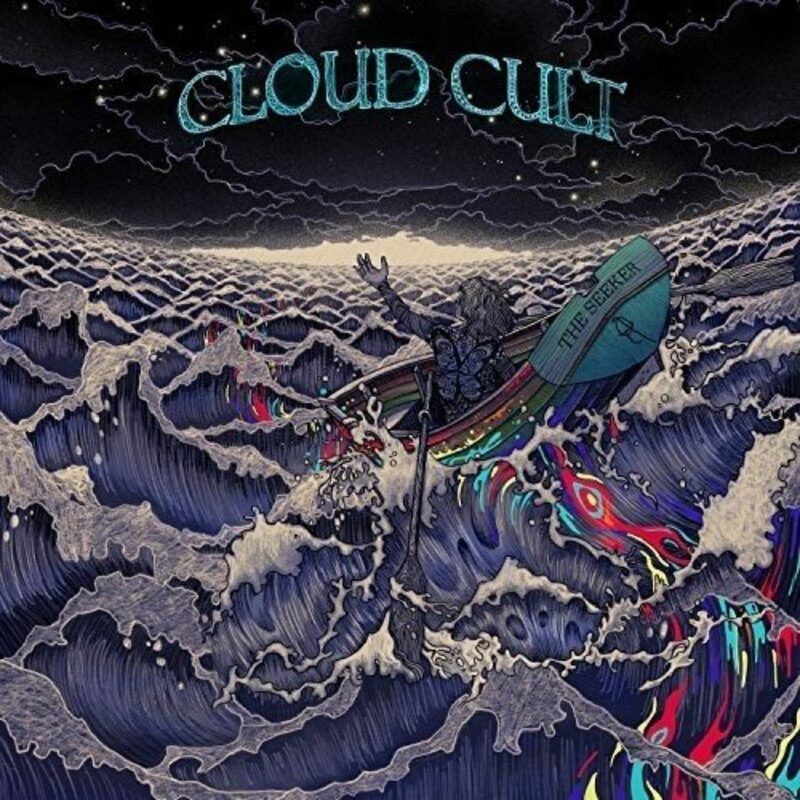 Ms. Tippett: Cloud Cult is Craig Minowa, Connie Minowa, Daniel Zamzow, Shannon Frid-Rubin, Shawn Neary, Sarah Perbix, Scott West, Jeremy Harvey, and Jeff Johnson. They’ve recorded over a dozen albums, including Light Chasers, the acoustic live album Unplug, and their new album, The Seeker. They recorded several songs the evening they were with us, and you can listen and download those at onbeing.org. Ms. Tippett: Special thanks this week to Maury Jensen, Karen Hilgers, and Doug Livesay at the Walker Art Center. Our lovely theme music is provided and composed by Zoe Keating. And the last voice you hear, singing our final credits in each show, is hip-hop artist Lizzo. On Being was created at American Public Media.